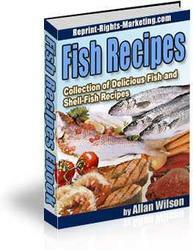 Most all fishhooks are made of steel. All hooks have basic parts and measurements (shown the following figure) and they all share three basic identifying characteristics: their size, their weight, and their style. Hook size is designated by a number. The higher the number, the smaller the hook. A No. 4 hook is bigger than a No. 6 hook within the same style. Hooks bigger than No. 1 take a zero, and the number progression is reversed, so that a No. 2/0 hook is smaller than a No. 3/0 hook. However, this numerical system is not standardized, and the actual lengths of the hooks differ among manufacturers and styles. 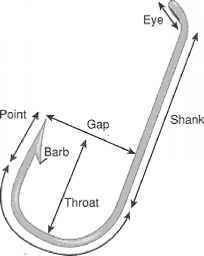 The hook's gap, which is the distance from the point of the hook across to the shank, which is the straight part of the hook, and the length of the shaft itself, determines hook size. A hook with a H-inch gap is usually a No. 6. And a standard No. 6 hook with a standard-length shank measures anywhere from 5/8-to 7/8-inch long, again depending on the hook style. Hooks can also be long-shanked or short-shanked. This is also designated by a number, which is followed by an X. The number indicates how many sizes longer or shorter the shank is for its size. 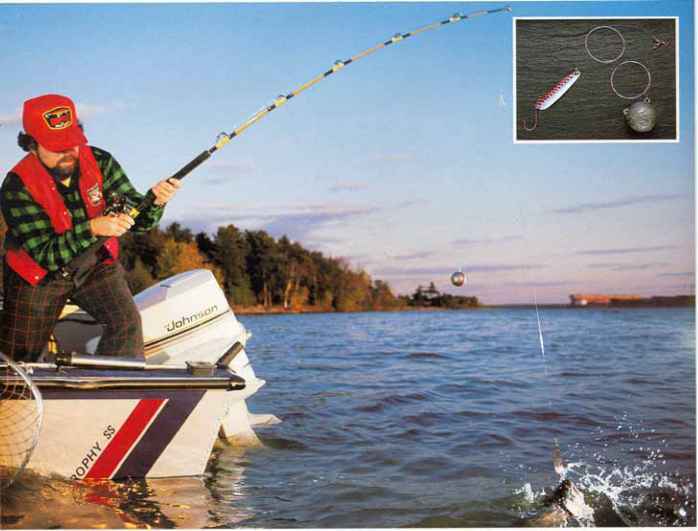 For instance, a 2X Long hook has the same shank length as a hook two sizes larger, and a 2X Short hook has a shank length of a hook two sizes smaller. So a No. 6 2X Long hook would have a shank the same length as that of a standard No. 4. Parts and measurements of a fishhook.